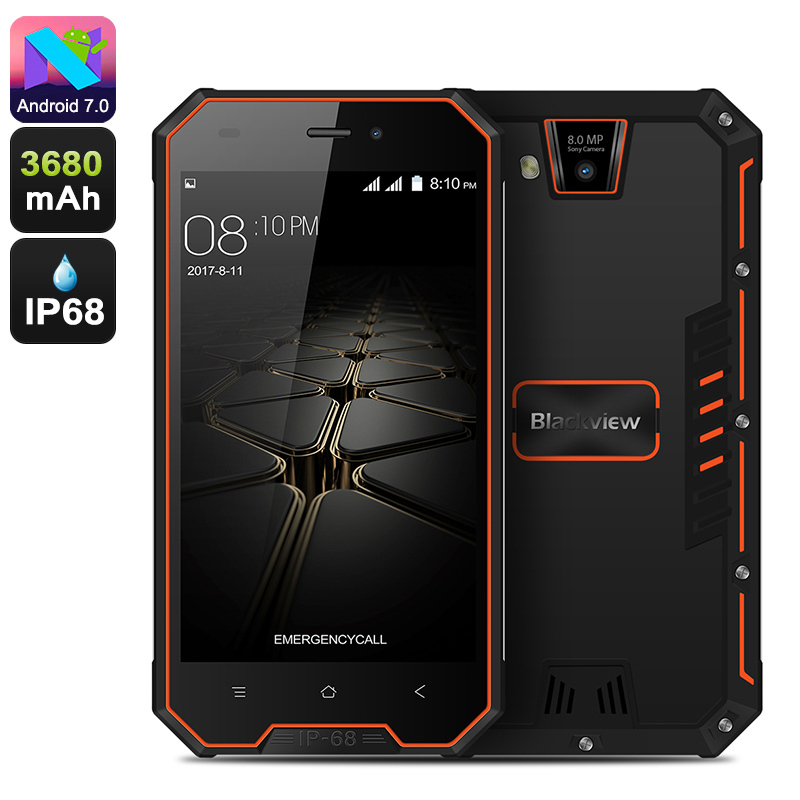 Successfully Added HK Warehouse Blackview BV4000 Pro Rugged Phone - IP68, Quad-Core, Android 7.0, HD Display, Dual-IMEI, 3680mAh (Orange) to your Shopping Cart. If you’re looking for a tough and affordable outdoor phone that follows you anywhere you go, the Blackview BV4000 Pro is the perfect Android phone for you. 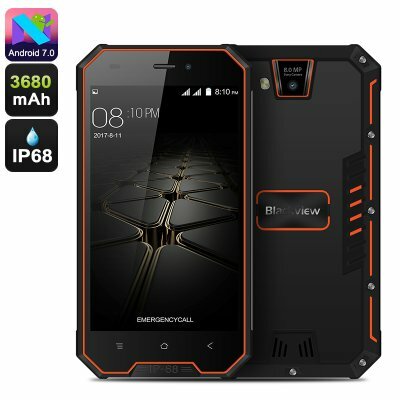 This rugged smartphone features an extremely durable IP68 design. Thanks to this, it is fully resistant to water, drops, and dust. Therefore, you won’t have to worry about your phone getting wet or dirty while you use it during your upcoming outdoor adventures. It comes with a whopping 3680mAh battery that treats you to an unbelievable 18 hours talk time and 600 hour standby time. All these features make your rugged phone great for outdoor lovers and people such as engineers who work in rough environments. With Dual-IMEI numbers, this rugged Android phone brings along great connectivity. It allows you to slide in two SIM cards and lets you stay connected to both at the same time. This means that you can always be reached at two different phone numbers while using merely one Android phone. The smartphone furthermore treats you to 3G and WiFi. It allows you to browse the web nearly anywhere you are, thus guaranteeing that you’ll always be within reach to friends and family back home. The Blackview BV4000 Pro packs a Quad-Core processor that has been clocked at 1.3GHz. It furthermore comes with 2GB RAM and treats you to 16GB memory. With this hardware at your side, you’ll be able to enjoy all basic Android features without dropping a frame. The phone runs on Android 7.0, meaning that a smooth and lag-free user experience is guaranteed. On its 4.7-Inch HD display, it lets you enjoy films, games, and pictures in crisp 730p resolution. Photos and video can be snapped with the phone itself thanks to a sophisticated 8MP camera. The Blackview BV4000 Pro rugged phone comes with a 12 months warranty, brought to you by the leader in electronic devices as well as wholesale Android phones..